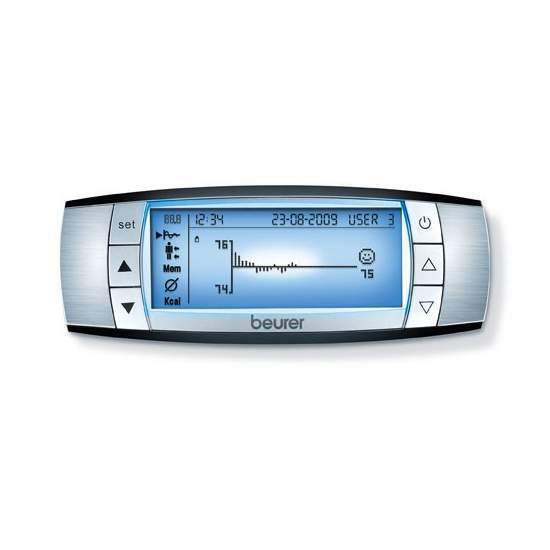 - Connect System Beurer World. - Function Bluetooth®SMART technology (iPhone 4S and above). 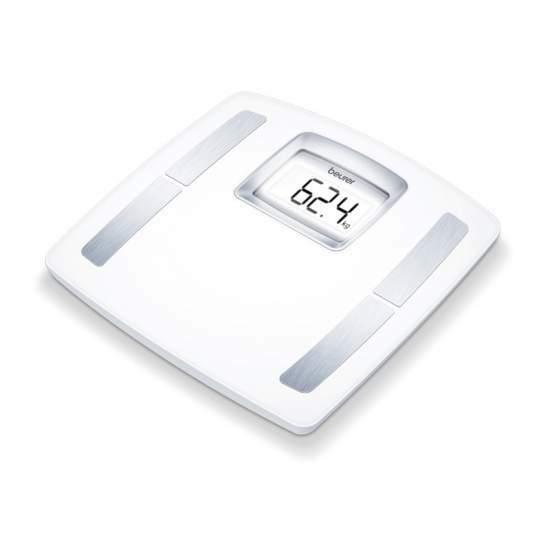 - Innovative connection between the smartphone and the scale to control their measurements at home and / or anywhere. 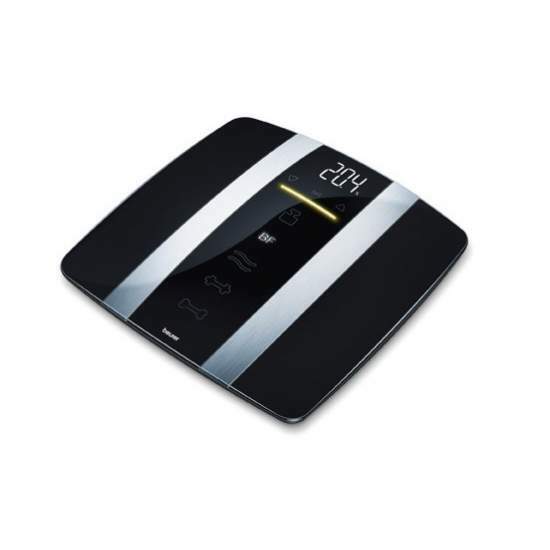 - Elegant diagnostic scale with glass frame and white display. 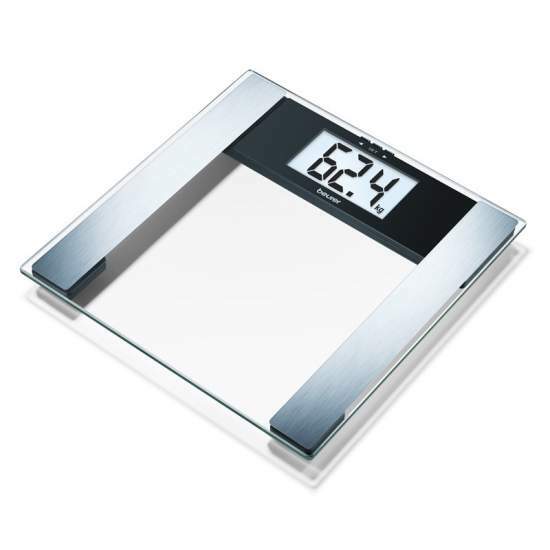 - Measuring weight with BMI calculation. - Glass with conductive coating of indium tin oxide. - LCD backlit blue light. - LCD display two lines of text. - Measuring 180 Kg / 100 gr. - Sist. weight in kg, pounds or stones st.
- Safety Glass (32.4 x 32.4 x 2.5 cm). - Memory for 8 people. - 3 x 1.5 V AAA batteries included. 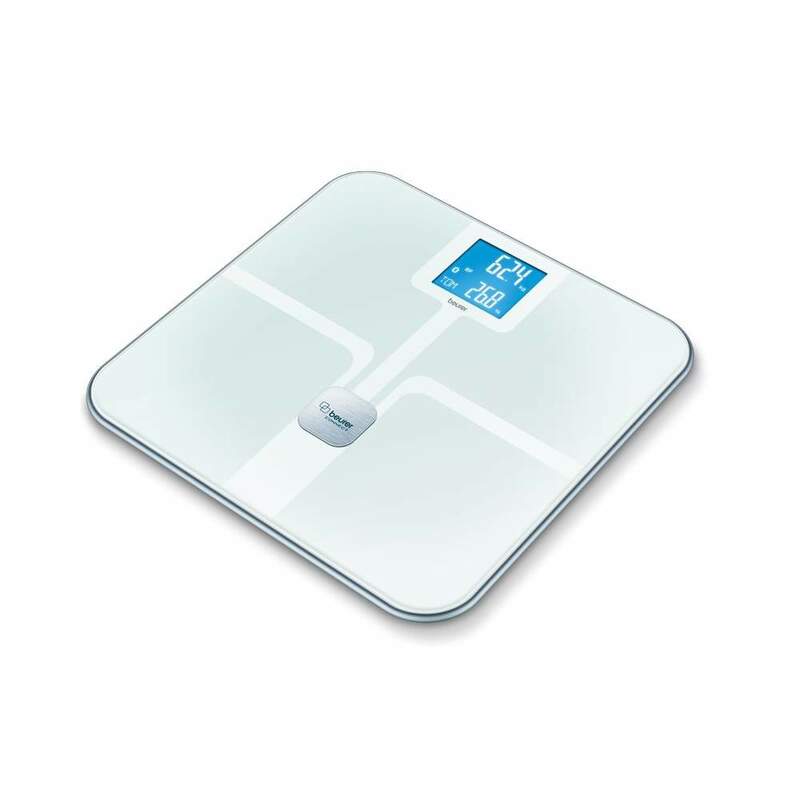 - Indication body fat: 0.1%. - Indication body water: 0.1%. - Indication muscle ratio: 0.1%. - Indication bone mass: 100 gr. - Regulator for athletes 5 levels.